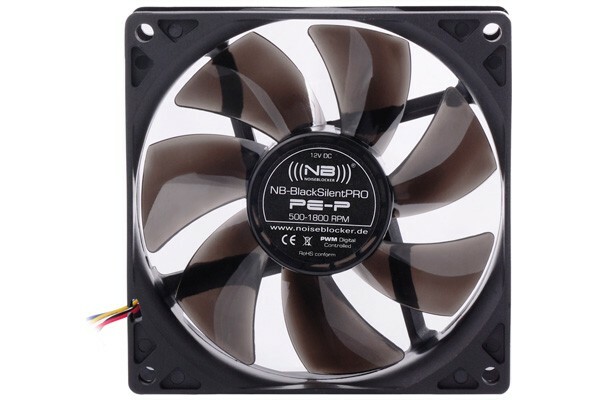 Developed with and for the most demanding customers, the new (((NB))) Premium fan series, equipped with classic frame and rotor, combines the NB-BlackSilentPro series technology with a classic design. The high-grade NB-EKA Plus II drive system and the virtually inaudible NB-NanoSLI bearings ensure exceptionally quiet operation over the whole lifespan. Both are features which before were only available in the highly sophisticated Multiframe reference series. Besides the tasteful design in matte and high-gloss black, the BlackSilentPro fans feature individually expandable cable management and a NB-Silentframe silicone gasket as well as mounting material for vibration- and tool-free installation.